While I love supernatural horror, realistic horror stories—murders, kidnappings, unexplainable medical phenomena—are the ones that really keep me up at night. There’s something extra terrifying about a fictional story that can, and does, happen to people in real life, so it’s no surprise that authors draw inspiration for their horror (or suspense or thriller) novels from news stories. With a 24-hour news cycle and the Internet vortex, you won’t need to look too far for an idea to rip from the headlines. I read a stack of Sick-Sad-World-worthy YA fiction, and here are some ideas I came away with about taking a story from newsprint to hardcover. There are plenty of terrifying news stories to choose from, but some are so compelling or ubiquitous that they inspire an uptick in YA books based on that story. 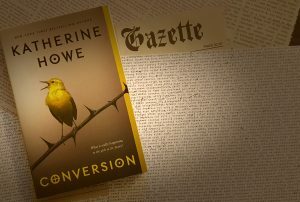 In 2014, two YA novels—Conversion by Katherine Howe and The Fever by Megan Abbott—were published that drew from the story of a group of teenage girls at a high school in Leroy, New York who developed mysterious symptoms, much like Tourette’s, that no one could find the source of. There have been a slew of unfortunately timely school-shooting novels in recent years. Child abuse and abduction are practically an evergreen topic of teen and adult fiction and non-fiction. 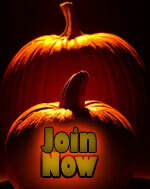 Don’t let an abundance of books on a particular story scare you away if it is one that you are drawn to. Each book explores its story from a different angle or using different techniques, some of which I’ll talk about here. Let the same or similar story inspire you to write a different book. That said, if you do unearth an obscure or uniquely bizarre news story to let your imagination go off on, please write about it! Just don’t let that expectation keep you from getting down to the business of writing. While good journalism tries to cover a story in a balanced way, you really never get the whole picture. Everyone involved in a tragedy or mysterious event will have a slightly different version of what happened. Fiction gives authors the ability to explore and create those various angles through multiple points of view. School shooting novels especially use this tactic as these encounters are so personal—the gunman, the victims, the bystanders are the friends, teachers, siblings, and classmates with whom there is history and relationships. Allowing for many first person accounts gives a fuller picture of this tangled web of high school connections and emotions that culminate in a horrific and terrifying event. Emails, text messages, Facebook posts, tweets, transcripts, and other documents peppered into the narrative is another way to provide other points of view without the necessity of writing entire chapters in first person. They also can give a book based on a true event an added layer of realism. Some of this ephemera are a daily fact of life, especially for teens, so why not include them in your realistic novel? In With Malice, a book loosely inspired by the Amanda Knox murder case, Eileen Cook uses an impressive variety of documents—homework assignments, yearbook messages, Facebook posts, and guide book excerpts, to name a few—to provide insight into Jill and Simone’s lives and clues about Simone’s death. Combined with Jill’s first-person, amnesic narrative, the extra documentation helps fill in some holes, providing the reader with some clues as to what might have really happened. It’s important that these extras have a distinct purpose, like providing missing information. If you want to include them, make sure you can justify the decision. A news story may cause you to draw parallels between the modern story and a similar story from the past. For Katherine Howe, the LeRoy mystery illness brought to mind another time and place where girls were mysteriously falling ill—the Salem Witch Trials. Howe’s book Conversion alternates the present narrative of Colleen, a teen attending a high pressure Catholic girls high school, with the first person account of Ann Putnam, one of the afflicted girls and accusers in Salem. The two stories run parallel, drawing comparisons between the allegedly bewitched young women of Salem and the afflicted young women in Massachusetts (the actual story happened in New York but Howe changed the setting for the book to Danvers, which now sits where the original Salem Village used to be). The two stories create a tension by questioning how close the modern girls’ experience is to that of the girls in Salem. Is everyone faking it? Is no one faking it? It raises a lot more questions than it answers, hinting at the potential for supernatural activity while also constantly calling it into question. The news stories that inspire your writing should stand out to you! Whatever story you choose, put your own spin on it by trying out different narrative techniques and formats. This should go without saying, but many of the news stories you will come across will have affected someone—family and friends of the victim, the victim, wrongfully accused individuals, etc.—so as a writer and researcher, it is your duty to ensure that you do the story justice. Take time to gather facts, and be sure to carefully craft a narrative that is thoughtful and considerate of those who may have been affected by whatever event you’re using as inspiration.